Other scientists and scholars' introductions, in full length, as published in Ove von Spaeth's "The Vanished Successor", VOLUME 3 of the book-series "Assassinating Moses". - In addition, the table of Contents of Vol. 3. An incredibly delightful experience every single minute in the company of this book about Moses and the tumultuous political machinations of the past in the Middle East - a trail-blazing work with revolutionary results and continually developed through serious, sober research. Ove von Spaeth's work is the result of hard work within a framework of quality that demands respect in every context. A well-composed, balanced project based on years of research - national and international alike. Invaluable, important research would still be lying hidden away in dusty archives if Ove von Spaeth had not probed in the right places with his special sense of the object of his study producing a presentation of such crucial, but up to now lesser known, historical material. Strictly and logically structured, exquisitely underpinned by well-chosen sources prioritized to uphold the reader's general view by avoiding the pitfall of flooding the reader with excessive details. The exposition is superb in its text and choice of words. At the same time, it is as suspenseful as a good crime novel. Also, the insights into the early connections between Egypt and pre-classic Greek culture are rewarding and refreshing. The various chapters based on purely historical material contain all the components that make the writer's analyses and theories for the process scientific well-documented and well-founded. The third book of researcher Ove von Spaeth's voluminous work on Moses deals with the key period of Moses' life when he escaped from Egypt at the age of 40 until he - as the great, prophetic leading figure of the people of Israel - died at the age of about 120 on Canaan's threshold. Just a few centuries ago, the Biblical account most of us are familiar was viewed as historically correct - and unambiguous - from start to finish. But with coming of the Age of Enlightenment, encroaching doubt about this idea spread concurrent with the slow but sure spread of a scientific outlook that took a critical look at previous historical thinking. For instance, increasing numbers of researchers rejected the notion that it was possible to date the immigration into the Land of Canaan by the Israelites in accordance with the Bible's own chronology, i.e., to the late 15th century BC. On the other hand, for various reasons, the reign of Egypt's pharaoh Ramses II, near the end of the 13th century BC, was considered to be a more reliable benchmark from which to date. It soon became clear, however that no evidence could be found during this era to prove that a comprehensive exodus from Egypt was followed by a massive conquest of Canaan, at least not without making a veritable 'Procustes-manipulation' to analyse the growing archaeological and epigraphic material - and particularly the Biblical account. This situation, and others, has now led to a situation within influential circles of modern theological Bible research, where Moses is perceived as a mystical fairytale figure who has never existed, but who was invented for specific religious and political considerations a few centuries before the beginning of the Christian era. In recent research, this fate has not only befallen Moses but also the primary substance of the history of the Israelites, at least as it is presented in the Bible. The overarching conclusion of this view of Moses is that the Titanic impulse that lay the groundwork for the appearance of three world religions - Judaism, Christianity and Islam - is ultimately based on a painstakingly staged, imaginary figure. With the cataclysmic power of a comet, Ove von Spaeth's book bursts a gaping fissure in this research construction. Using an unprejudiced acuteness - with something so unusually heretical in our day as the ability to think independent thoughts - the writer documents countless, spectacular coincidences among things like historic astronomic dating, ancient Egyptian inscriptions, diversified antique scriptures, Biblical and ancient Greek "myths", tales and archaeological excavations from ancient Palestine, similarities which in all historical probability cannot be merely accidental. On this basis he assembles a depiction of Moses' integral role in the early history of the Israelites, a depiction whose abundance of details and ideas, plausibility and originality has perhaps never been seen before. As a result Ove von Spaeth's study represents one of the most potentially explosive theses in the research history of the Hebrew Bible. For this very reason, there is hardly any doubt that the writer - when he can no longer be ignored - will be stormed by an army of academics waging the universities' bitter war of self-legitimacy against this unorthodox outsider. As all experience shows, a reaction pattern of this nature seems to be the fate of any genuine pioneer - and an indisputable hallmark. In conclusion, however, the reader should be forewarned: this book presents an unexpectedly simple solution and, as such, can hardly be read without forcing the reader to alter his or her view of the Biblical scriptures. Contents - of Vol. 3: "The Vanished Successor"
Does historical evidence prove pharaoh's death occurred at the same time as the Exodus? The mysterious Levites. - Were all the tribes of Israel Hebrew? Moses' isolated position advanced his new religion. - The curse is lifted. Biblical Research: Bent Melchior, former Chief Rabbi of Denmark; - Jakob H. Groenbaek, B.D., Subject Adviser, Royal National Library of Denmark, Copenhagen. Further thanks to: Rune Engelbreth Larsen, M.A. in History of Ideas and History of Religion; - Eva Björnböl, Research-librarian, Cairo; - Jannie Fursund, LLD, Assistant Professor; - Asmus Koefoed, Bach.Phys. ; - Karine Smidth, Journalist; - Erling Haagensen, Writer, and Film Director;- Sidney Maage, Principal, Ministry of Defence; - Bodil Eeg Neumann, Techn.A. ; - Raymond Bildstedfelt, Inf.Director, DI; - Marianne Illum, proofreader; - Evan Bogan, Publ. Director; - The Staff of The Royal National Library of Denmark, and of Dep. II of the Copenhagen University Library; - Construction of Computer Programs: Laurids Pedersen, Nysted, DK; - Ulla Hoff, H.D., English language, Translator; - Astronomical Computer Calculations: Jarl Hansen, Macro Systems Internet, Coín, Spain. - Ancient texts and a variety of sources indicate that Moses was an exiled Egyptian prince who repeatedly attempted to regain his claim to the throne of the pharaohs by availing of the context of historic tensions then existing in the Middle East. Key Phrases : Moses' rebellion, the Israelites, Pharaoh Amenhotep II, the Exodus from Egypt, Joshua, the pillar of the cloud, pillar of fire, spring sacrifice, the Golden Calf, the Ten Commandments, the Levites, Jethro, the desert journey, the promised land, Canaan, Jericho, astronomical mystery, chronology, historians of Antiquity, Sinai, alphabet invention, Cadmus, cultural history, archaeology, anthropology, religious history, Talmud, the Bible, the five Books of Moses, Rabbinical Writings, Old Testament, Talmud, Egyptology, Ove von Spaeth, Philo, Josephus, Petra, Hatshepsut, Thebes, Tuthmosis III, Quadesh. In the Volume 3 the revolutionary rediscovery of Moses' feud for the Egyptian throne reveals an unexpected and new side of his dramatic role in Egypt and in Hebrew history. - Were the ten plagues of Egypt a stage of magic warfare? - Was one of Moses' secret burial chambers to be found in Egypt? - Who were the Levites with their Egyptian names? - Which kings assisted in the Exodus of Moses and the Israelites? - What is the meaning of the Bible's story of "the sun stood still"? "The forgotten feud" is revealed here showing how Moses, the missing heir to the throne, and the dramatic role he played in Egypt and the neighbouring countries, brought about transformation throughout the Middle East - an unexpected background that could change how we perceive our early history. Ultimately, he instigated a decisive showdown in the 15th century BC with the help of Hebrew immigrant workers. Moses' daring action was in vain, however, and it wasn't until then that the Hebrews/Israelites sought another land. From obscure information in the oldest Moses traditions also in conjunction with rare astronomical phenomena, a unique correlation is revealed between source material and dating. Archaeological finds illuminate the data of the ancient scriptures which, among other things, seem to provide clues about important sites where the people of the exodus hid in "the desert" for many years. As rarely seen before in historical accounts, politically radical and mystery cults and religious and magic circumstances are drawn into a larger, proper perspective. The book's vibrant explanation is also readable by people outside the world of specialists. Many people are familiar with the expression 'Exodus', not least from movies and books about the hard fate of the Jews - and it is originally affiliated with the exodus of Moses and the Israelites from Egypt. Up to now, insufficient evidence of this event has caused doubt about this focal point of the Bible and about whether this story about the Jews ever actually occurred. And if it did, when did it happen? Astonishing finds and evidence shed light on the historical circumstances including whether the "Promised Land of Canaan" had been promised to others before the Israelites. It has long been asserted, without substantiation that Ramses II was the "harsh Pharaoh" mentioned in the Bible. But the historians of ancient times - as well as new data from modern astronomical dating of the epoch - already indicate that in reality Amenhotep II was the persecutor of the Israelites in the 15th century BC, i.e. about 200 years before Ramses II. After his 26-year reign, Amenhotep did not - as opposed to other important pharaohs - leave behind numerous edifices: Egypt seems to have lost a large number of workers during his reign. Could this be due to factors such as Moses' successful leadership of the exodus? A myth created inl ater times by researchers refers to Amenhotep II's predecessor, Tuthmosis III, as "Antiquity's Napoleon", which is contrary to the overlooked fact: that he never extended the Egyptian empire with an inch, but instead simply has defended (cleverly) its wide borders. Here, the often rare material seems to show that Tuthmosis III's many trips could have been systematically provoked by Moses, who had several important allies in Canaan. For the first time ever, a military and historical analysis of the exodus from Egypt and the invasion of Canaan is proven to be not only possible but probable - in contrast to recent theological theories. This is the first time a study has focused on the identity of the "first born" who were killed at the time of the exodus. It traces the date of the action. The date of fall of Jericho is based on the chapter in Joshua about "The day the sun stood still"; the logical scientific information is presented explaining this mysterious astronomical phenomenon described in the Bible. The author has open-mindedly ventured to ask the right questions, including those of controversial sources in archaeology and ancient texts that reflect the life of Moses as drastically different than the current perception - and actually end up corroborating Moses' biblical and historical activities. The 'Rabbinical Writings' mention Moses and his active work during his long exile from Egypt. These subsequent, extensive operations, "the forgotten feud", are now revealed in connection with Egyptian historical events. They show how Moses - the missing heir to the throne and with the dramatic role he played in Egypt and its neighbouring countries - having brought about transformation throughout the Middle East: a surprising background able to change how we perceive our early history. Ultimately, he instigated a decisive, major rebellion in the 15th century BC with the help of Hebrew immigrant workers. Moses' daring action was in vain, however, and it wasn't until then that the Hebrews/Israelites sought another land. From hitherto unexpected information found in the oldest Moses traditions much unique correlation between source material and dating is revealed, and even in connection with records of rare astronomical phenomena too. Archaeological finds illuminate the ancient texts' data from 1400 BC all of which also providing traces of Moses' brilliantly selected, protective sites where the exodus-people then seems to have been hidden for many years in the desert. Also, it is interesting throughout the book to experience how a shadow-like figure from the Old Testament turns into a human being of flesh and blood and emerges as one of the major figures in world history. The handed down information about the impressive, apparent execution of Moses (symbolically performed only) was early excluded from the biblical narrative while it has still been preserved in the ancient 'Rabbinical Writings' - yet it was this highly disruptive event resulting in making him barely surviving while all his official identity in Egypt was eradicated. His adversaries' so carefully performed ritualistic removal of Moses' tracks in Egypt has in particular contributed in recent times to the appearance of confused theories about him. Through the meticulous investigated material of the present book it becomes abundantly clear also how such seemingly lack of information about Moses has led many of today's researchers to not attach him any importance as a historical person. Thus, they argue - in fact, from assumptions only and without any scientific proof - that he is just a myth and a literary product. A more clear picture emerges from the book's exposing how a greater recognition of "the Egyptian factor" - with its solid presence behind his entire life and work - would have given the concept of Moses better main lines to follow. In order to really understand this part of history better, the Moses figure must in every way be seen - as has been experienced now - in the original Egyptian context to a much stronger extent. Unfortunately, this is still very underexposed hitherto in the research in question. However, from the new-orientating material presented by "The Vanished Successor" it has here been revealed that at the time of Moses' long-term exile and then his emigration with the Israelites from Egypt (around 1455 BC, an era based on data from ancient writers, too), all this became the end result of the previous coup which had prevented him from taking over Egypt's throne. 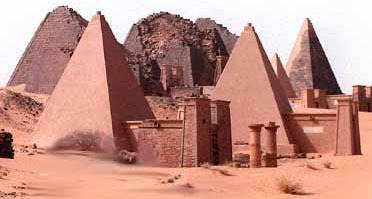 Moreover, it was from his protected exile in Nubia (the later Sudan and Ethiopia) and then Sinai that he was capable of - for a very long period of time and through the considerable great distances - succeeding in establishing much political plot, altogether with the goal to regain his lost position. During this period Moses has travelled far and wide. His personality may be the main key to some hitherto incomprehensible detail in the handed down reports on the wars which through those years kept the Egyptian army on its toes at the country's northern and southern border alternately; - incredible information is now brought to the light of day. By the events of Moses' hidden years being brought out in the open, a gripping course is exposed making the reader also forming acquaintances with: 1) Moses' political alliances by which he manages from his exile to attack Pharaoh Tuthmosis III; 2) Moses' from a military view very professional diversionary tactics during the Israelite exodus succeeding to mislead the pursuing Egyptian troops; 3) his secret bases; 4) his vast communication system; 5) his desperate situation in the desert and the often problematic relationship with the Israelites. 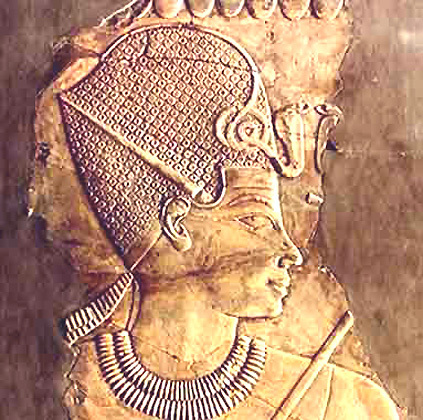 This promising pharaoh-prince, who with his in antiquity so very famous great and versatile talents should have become one of the most important rulers of Egypt - how could all this be lost to such an extent that even a mentioning of most of these circumstances have been lost in his later biblical reputation? a) According to Josephus the Israelite Exodus took place in "Moses' 80th year", i.e. when Moses was 79 years of age. In 1455 BC, the Israelite exodus from Egypt took place these 79 years after the birth of Moses. The date of this first Easter can be astronomically computed: in the Bible's the Book of Exodus the first Easter was determined from the first full moon at the 14th day of the first spring month, i.e. the first full moon after vernal equinox; the culmination of this full moon took place even on the very day of equinox, here the 21st March (by modern calendar style). b) The battle of Joshua at Gibeon, where "... the sun stood still ..." (Book of Joshua, 10:12-13) in 1415 BC, the Israelite year of invasion (i.e. 39-40 years after the beginning of the exodus) is anticipated to have happened during a special, celestial phenomenon. In the present Vol. 3 this is carefully investigated and the result showing a rare kind of a total lunar eclipse, i.e. "the Cleomedes phenomenon" taking place by sunset on 25th June (modern calendar style). c) Both the results by British archaeologist John Garstang, from his digging out the ruins of Jericho - and later from his colleague John J. Bimson's scientific examination by chemical analysis of the pottery found - confirm in all respects the dating around the beginning of the 1400's BC. Also these points being of the most logic coherence are thoroughly documented here - and by the the present book they are for the first time exposed to the public. From the 400's BC til the 200's AD, Babylonia was a leading Jewish learning center. When settled in Babylonia, the Jewish leaders' waning attention to Moses, - the first tangible, major personality in the border area of our older history - seems to have resulted in reducing him from his actual volume to appear in a more limited role. Not least, from then his incoherent appearance in the shadow of this diminishing status had contributed to that branches of contemporary research claim Moses to be non-real and just a myth figure. Practising of assassinating Moses appears in fact to have occurred continuously for more than three thousand years. This process is reflected in four main points: Moses' identity as a prince and heir to the throne was - 1) destroyed in Egypt, - 2) transformed and partially supplanted by the Israelites/Jews, - 3) the appearance altered by the church, - and finally 4) transformed again or even entirely neglected among later theologians and historians. His very identity appears to be annihilated, with effect until the present day nearly three and a half millennium after his death. There are religious founders and prophets such as Buddha and Zarathustra, known only less concretely through the traditions of their spoken words, transmitted through the disciples. But their existence is not doubted. However, Moses is the oldest known founder of a new religion - and here we have far more concretes: e.g. it is mentioned numerous times in the Bible that he has written down its (oldest) texts. That he is still regarded by many as a myth and as non-existent, will already on such background seem absurd. Assassinating Moses was, as mentioned, carried out on several levels and had taken place through several millennia. This in itself hidden riddle from ancient darkness seems finally to be elucidated now. As rarely seen before when presenting history, the politically intrusive mystery cults and religious and magic circumstances are included here and drawn into a larger, proper perspective. The book's vibrant explanation is also readable by persons outside the world of specialists. Already by the attitudes in the ancient time regarding the Egyptians’ magical curse on Moses - which should "dismantle" him and condemn his work - it seems that the well-known self-fulfilling effect have emerged by which the curse became like almost a reality to those people who paid too much attention to it. Even among opponents of Egypt's new ruler (Tuthmosis III) this could certainly influence them to avoid involvement in or direct supporting Moses' aspirations. - More about the contents: Information points concerning this Volume 3 of the series "Assassinating Moses"